Included in the Top 10 of Publishers Weekly's "Spring 2018 Announcements: Memoirs & Biographies"
"This is the story, harrowing yet redemptive, of Barbara Lipska, stricken at 63 with a form of brain cancer. The Neuroscientist Who Lost Her Mind, cowritten with Elaine McArdle, is the tale she lived to tell...If Lipska’s book is about 'what it’s actually like to lose your mind and then recover it,' it’s also about a new frontier in cancer care and the vertiginous trajectories for recovery being opened up...Imbued with scientific insight...Pondering the term 'survivor,' Lipska finds the dictionary definition—someone who perseveres and 'remains functional and usable'—resonant. Her mind and body battered, she wonders if she meets this standard. If this memoir is any guide, she more than measures up to it." "What is it like to have your mind thrust into the depths of madness and pulled back out again? 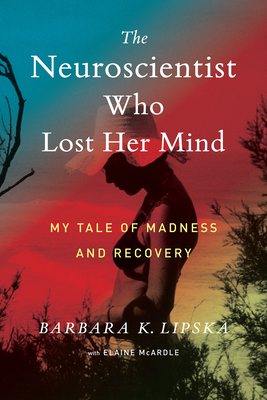 In startling detail and with keen insight, Barbara Lipska, leading neuroscientist and mental illness expert, describes her own harrowing, albeit temporary, descent into extreme mental illness in her moving new memoir. While her nightmare only lasted eight weeks, Lipska's experience — one she fully remembers — upended the way she looked mental illness, in herself and others. A remarkable story about strength, endurance, and human's capacity for recovery, The Neuroscientist Who Lost Her Mind truly captures what it is like to struggle with mental illness." —Bustle, "10 New Books About Mental Illness To Read In 2018"
"It’s not often a research scientist, especially one who studies mental illness and the brain, experiences their specialty first hand, and it’s even more rare with this sort of mental break, medical or behavioral. If you enjoyed My Stroke of Insight by Jill Bolte Taylor or Brain on Fire: My Month of Madness by Susannah Cahalan, this is the memoir you want to read in 2018." "[An] urgent memoir...Though Lipska's recovery is extraordinary, her suffering and its effect on her family are familiar to anyone impacted by devastating illness. Her experiences provide empathy and understanding for people whose behavior is beyond their control. Lipska is a survivor, and readers will be all the wiser because of it." "As a director of the National Institute of Mental Health who focused on the impact of schizophrenia on the brain, Lipska knew a thing or two about mental illness. But she knew considerably more after she exhibited signs of the disease and came back from the brink with amazing insights...Her story conveys deep understanding about the brain and how disease, injury, and age can change our very selves." "Barbara Lipska is the director of the Human Brain Collection Core at the National Institute of Mental Health in Virginia. Over the course of two months in 2015, she found herself on the strangest journey of her life. She was diagnosed with Stage 4 melanoma that had metastasized to her brain, a seemingly terminal condition that mimicked the symptoms of dementia and schizophrenia. Remarkably, her immunotherapy regimen was successful; equally remarkable, she has recreated that period of mental illness and cognitive trauma on the pages of this unusual memoir." "A riveting science story about how brains go bad, interwoven with the remarkable personal story of one brain going spectacularly bad. A total nail-biter." "An extraordinary chronicle. Barbara Lipska's story is inspiring and painful, but most of all it is a tribute to the human spirit told with the insight of a scientist and the love of a truly compassionate soul. I was hooked from the first page and could not put this down until the final sentence." "In this fascinating book, ​a neuroscientist​ describes the terrifying symptoms she suffered as a result of multiple brain tumors. We learn about how the brain can produce ​bizarre and bewildering symptoms from the point of view of someone who has personal experience of aspects of the mental illnesses that she spends her life studying. The book is compelling and powerful, and hard to put down." "The doctor becomes the patient in this fascinating memoir." "Diving inside some of the deepest mysteries of the human mind with someone who has spent her life studying exactly that, Barbara K. Lipska’s The Neuroscientist Who Lost Her Mind describes the leading neuroscientist’s own descent into madness — triggered by an aggressive cancer that spread to her brain, miraculously retreated just months later, and left Lipska not only with her memories intact, but with a whole lot more insight (and even more questions) into the human brain." —Bustle, "14 Debut Books By Women Coming Out In 2018 That You Need In Your TBR Pile"